The costs of caring for aging parents or grandparents can be emotional as well as financial. As the number of Baby Boomers reaches an all-time high, so do the odds that you’ll soon be financing elderly home care for someone you love. In fact, by 2050, 20.9% of the population is expected to be over the age of 65. And just because they’re older and wiser doesn’t mean they’ll know about senior care costs. Navigating successful senior living can be difficult enough without the hidden financial challenges. However, there are several secrets that can help you finance assisted living or in-home care for your Baby Boomer. When it comes time provide care for an elderly loved one, some big decisions need to be made up front. It’s important to learn the different types of senior care to choose what is best for your family. Options include independent living communities, assisted living, nursing homes, or in-home care. And of those types, there are variations on levels of service and cost. Each type is different and has its own set of pros and cons as well as options for financial assistance. It may be helpful to use an Aging Care Calculator to determine the most viable option. In-home care provided by a loved one, though it increases the quality of life, has extra emotional costs, too. These informal caregivers are spouses, adult children, friends grandchildren, and neighbors. Unexpected costs can include transportation expenses, lost wages, induced health issues, and depression or emotional exhaustion. Regardless of the type of care you choose, you may be able to receive some assistance paying for it. The cost of assisted living averages $42,000 a year, and a private nursing home room averages over $87,000. The cost of keeping a relative at home can be very high, too, costing up to $35/hour. Though it’s rarely cheap, the following methods help you make the most of your money when financing elderly home care. Veteran Aid & Attendance – The National Care Planning Council estimates that up to 25% of seniors could qualify for Aid and Attendance. Though it is income- and asset-dependent, both veterans and their spouses can receive health benefits or monthly cash benefit. Medicare & Medicaid – While most people are familiar with both, there is a lot of fine print involved when attempting to benefit from either. Medicare will actually only cover care following a stay in a hospital for a short amount of time. Medicaid pays for some assisted living or in-home care, but the rules are complex and vary by state. There are some legal strategies that can help older people qualify for Medicaid. Long-term Care Insurance – Increasingly flexible long-term care insurance plans cover a range of expenses and one of the best options for financing elderly home care. Yet, this financial aid comes with a high cost and unpredictable premium increases from insurers. PACE (Program of All-Inclusive Care for the Elderly) – This fairly new program is only offered in certain areas and is exclusive to patients with low incomes. Usually, those who are eligible for Medicare and Medicaid are also eligible for PACE. Life Insurance Policy – With the help of a third party, seniors may be able to cash in their life insurance policy to help fund home nursing care expenses. There are actually a few options including cash surrender, death benefit loans, accelerated death benefits and life or viatical settlements. Personal or Inherited Assets – Close to 90% of seniors and their families pay for care through personal pay methods. Options here include using the sale of a home, a reverse mortgage, an annuity, a 401K retirement plan, or collecting contributions from other members of the family. These days, with seniors living well into their 90’s, many outlive their savings. There are, however, more than 2000 different programs to assist seniors in making ends meet. Despite the many options, families are having to dig deeper into their pockets to afford care. There has been a push in the past from caregiver advocacy groups for Congress to help more via tax credits and Social Security benefits. But one thing is for sure, with all types of care and financing, no one wants to be hit with hidden fees or fine print regulations. Assisted living agreements should be thoroughly reviewed, and specific questions asked. After selecting and financing a place for Mom, don’t let unexpected move-in fees, shower fees, meal fees, or community fees ruin the plan. 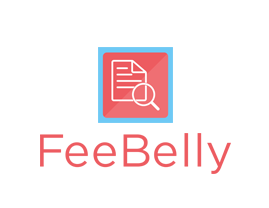 FeeBelly can provide additional peace of mind when financing elderly home care. There are many other resources that can help you navigate your aging loved one’s next move, but FeeBelly can take care of the tedious fine print.